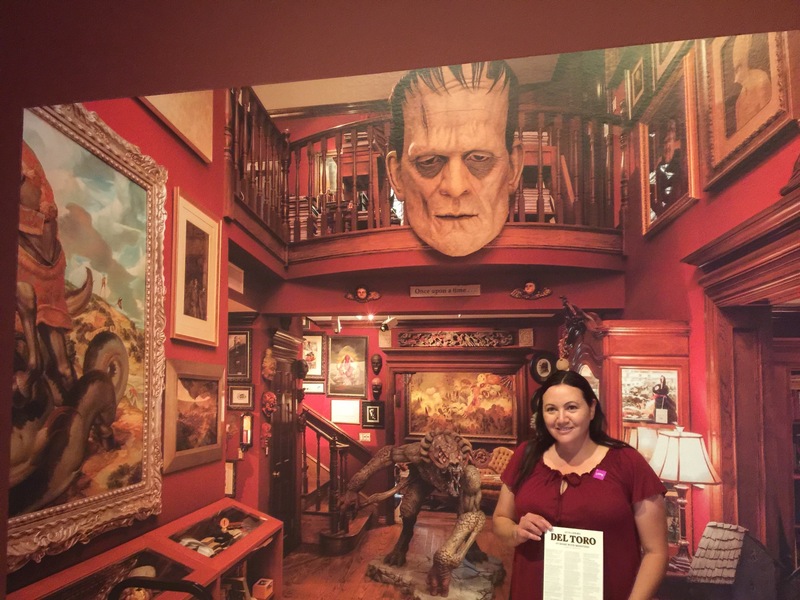 Had the opportunity to visit the Los Angeles County Museum of Art yesterday to see Guillermo del Toro’s art collection on display. There were many unusual artworks, to say the least. 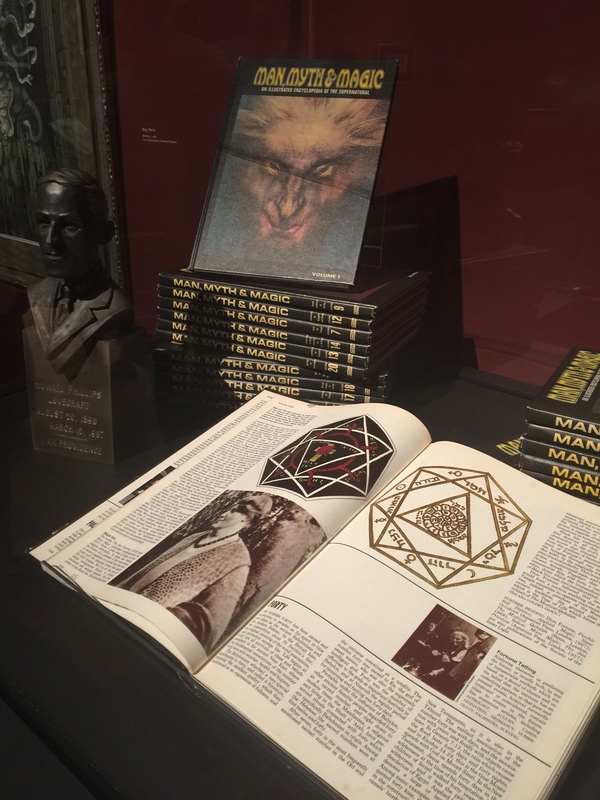 It was an amazing exhibit. 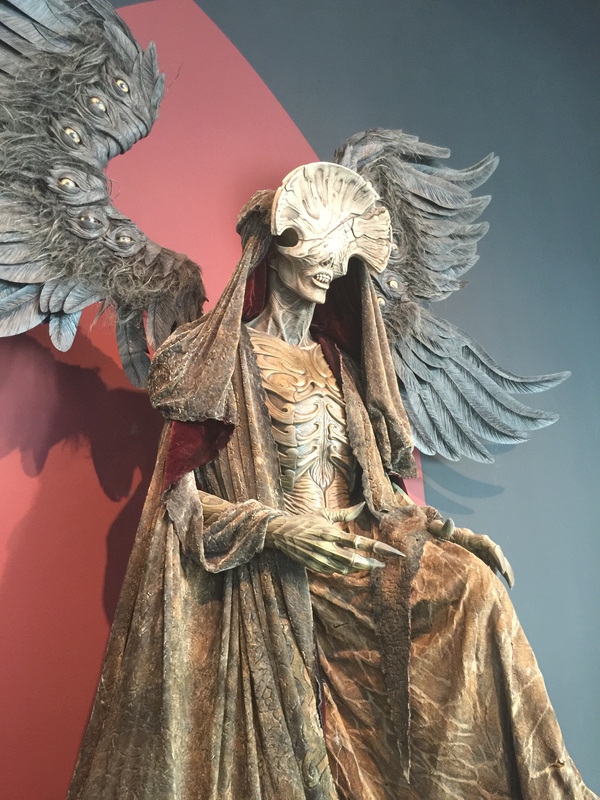 The Angel Of Death from Hellboy II. 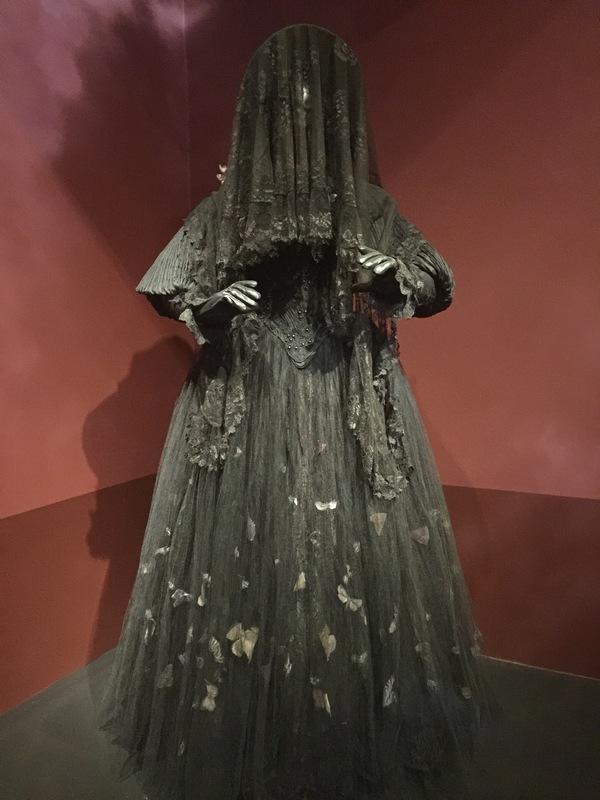 Ghost of Edith Cushing’s Mother from Crimson Peak. Man, Myth and Magic Encyclopedia set. I sure loved to look at these when I worked at the library! 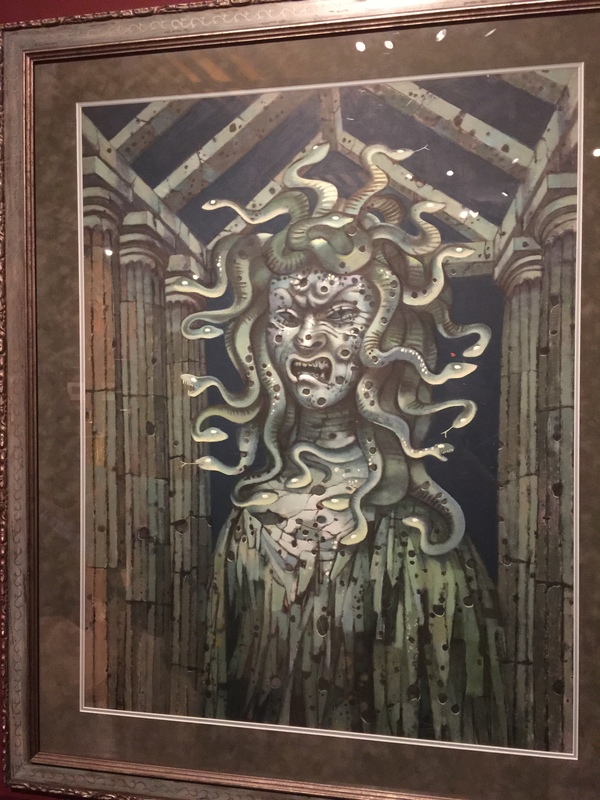 Disneyland’s Haunted Mansion Medusa by Marc Davis. This backdrop is a photo of what Guillermo’s house looks like when you enter the foyer.